If you were one of the many who reacted to our Facebook call-out to reach Cosmopolitan readers, I thank you for your activism and support. 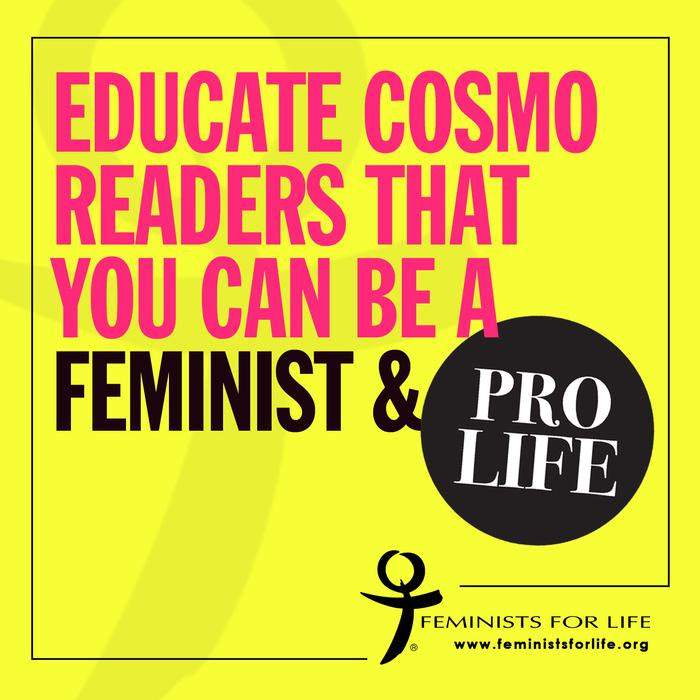 If you haven’t read the insightful reactions by Feminists for Life members after Cosmo published an article that specifically referenced Feminists for Life and said that you cannot be both a feminist and pro-life, I highly recommend you check it out now. How is that feminist? And who are they to decide that you can’t be a Feminist for Life? As we continue our efforts this April, calling attention to Sexual Assault Awareness Month on our Facebook page and traveling to events across the country, I hope you will like our page and share our posts with your family and friends. It’s a circle of abuse that we are determined to break. Thank you for helping us correct the record — and for your support as together, we stand up for women and children, born and unborn.